Are you on the hunt for a new home with picturesque mountain views, beautiful fall foliage and resort-style amenities. Look no further you have found it here in Transylvania County of Western North Carolina! Framed by the beautiful Blue Ridge Mountains, outdoor activities such as hiking, whitewater rafting, hunting, and fishing make Transylvania County the perfect place to call "home" Capture the serenity of the mountains and take advantage of level to rolling property with excellent views, secluded building plots in the trees for your dream home or recreational getaway. Transylvania is located about halfway between Asheville, North Carolina and Greenville, South Carolina. Transylvania County is called the Land of Waterfalls due to the breathtaking, 250 waterfalls located throughout the county. Whitewater Falls is the highest waterfall in the Eastern United States. Whitewater Falls is the one of the highest waterfalls in the Eastern United States. Framed by the beautiful Blue Ridge Mountains, access to Pisgah National Forest, Gorges State Park and DuPont State Forest. There is also a rich cultural scene in the county – World-Renowned Brevard Music Center, Brevard Philharmonic, Brevard Little Theatre, Brevard Community Band, Paul Porter Center for Performing Arts at Brevard College, Transylvania Choral Society, Transylvania Community Arts Council and more. From the geological events of prehistory that sculpted our rivers and moved our mountains to the tribes of the Cherokee, the history of these mountains is written across its landscape and woven into the rich tapestry of local culture. Brevard and Transylvania County offer a tapestry of wonder that is unlike any other in these mountains of the Blue Ridge. HomeInBrevard Link: On the HUNT for a new home? Wordpress Link: On the HUNT for a new home? 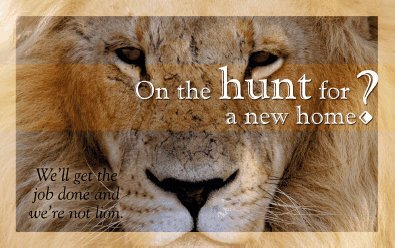 Exit Mountain Realty Blog: On the HUNT for a new home? Realtown Blog: On the HUNT for a new home? Activerain Blog:On the HUNT for a new home? With Exit Blog: On the HUNT for a new home? HUBREC Blog: On the HUNT for a new home? Exit MD Blog: On the HUNT for a new home? Exit Carolinas Blog: On the HUNT for a new home? Agreatertown Blog: On the HUNT for a new home? Youtube Video Blog: On the HUNT for a new home?